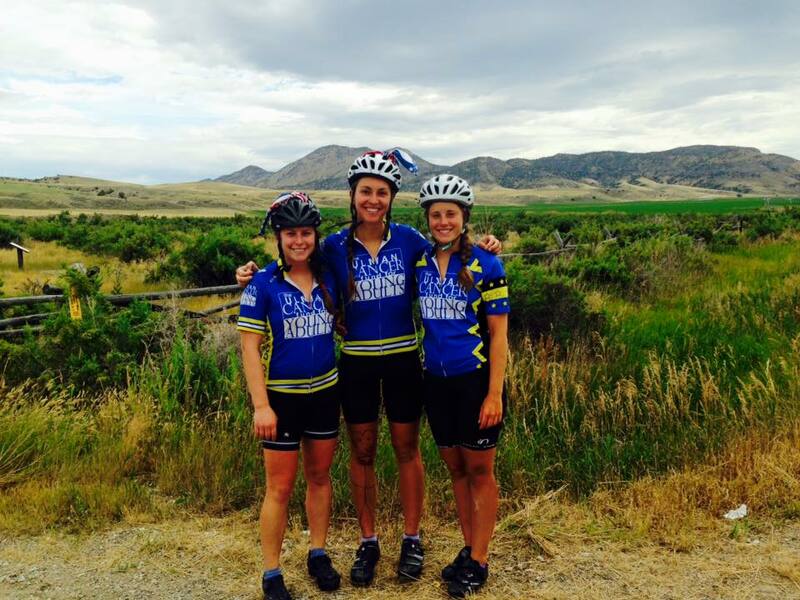 Three JMU Dukes participated in a cross-country bike ride to raise funds and awareness for the Ulman Cancer Fund. 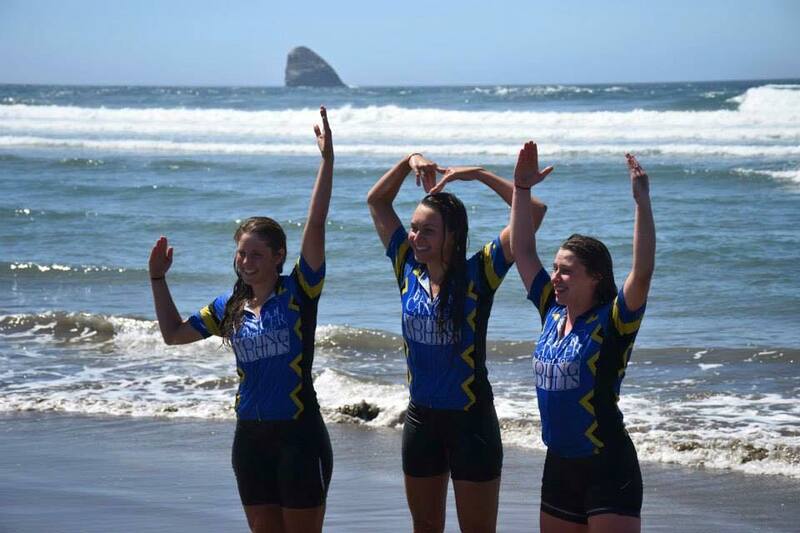 Today JMU communications intern Rachel Petty (’17) tells their story…..
Tornadoes, blown out tires and skinned knees didn’t stop three JMU Dukes from biking over 4000 miles from Baltimore to Portland, Oregon, as part of the Ulman Cancer Fund’s 4K for Cancer program. Lizzy Powell, a 2015 alumna, along with Hannah Kotarski (’16) and Jessie Axsom (’16), both current seniors, departed for their 70-day journey on May 31 from the Inner Harbor in Baltimore. 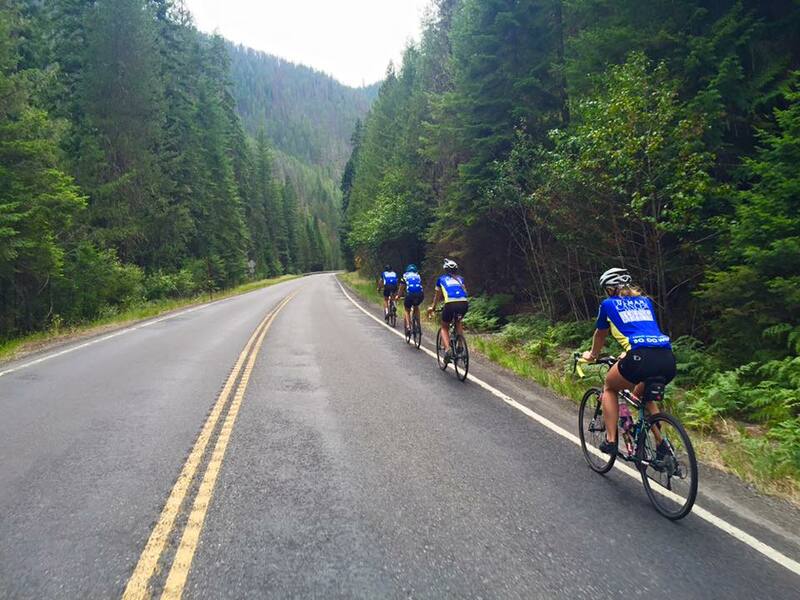 The girls each had their own motives for going, but their collective perseverance and compassion — two of 4K for Cancer’s core values — guided them through this trek across the United States. “I’m biking across the country this summer to convey this sense of community to those currently battling cancer,” Lizzy said before her ride. “I want to bring hope to all the different people we meet, share their stories and ride in their honor.” The Ulman Cancer Fund’s main goal is to create a community of support for young adults and their loved ones as they fight cancer and embrace survivorship. Too many young adults are diagnosed with cancer and may feel lost, isolated or hopeless. “Those affected whether the patient, family member, or friend, should not have to go through the challenge alone,” Hannah said. 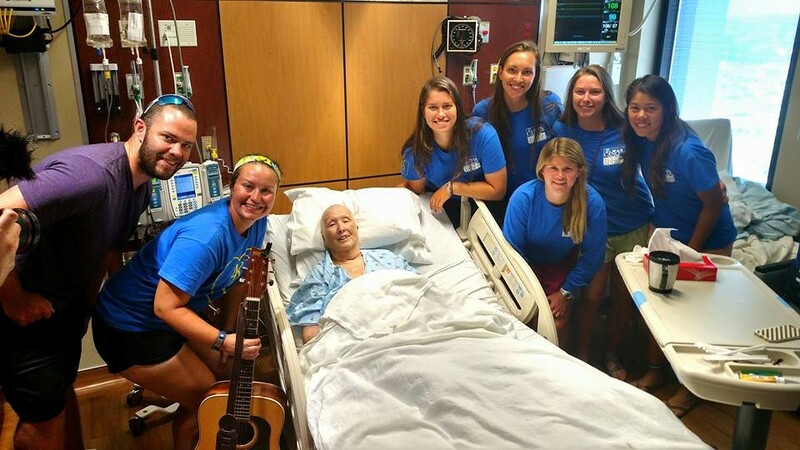 Through visiting hospitals, taking part in community events and giving awareness presentations, the girls provided a shoulder to lean on for many cancer patients. The continuous growth of that hope and bravery is vital in a support network. While facing challenges of their own, the girls were able to foster that growth and truly make a difference in the lives of young adults and other cancer patients across the country. The girls began their typical days at about 4 a.m. and shared the names of the people who their rides would be dedicated to that day. The names of those people guided them through whatever hardships they would face that day, including darkness, rain and brutally cold temperatures. “These kids truly endured many trials and challenges on this trip,” said Theresa Garrison, Lizzy’s aunt and a JMU employee. “Bike wrecks, broken bikes, skinned knees, saddle sores, exhaustion, nowhere to sleep, no food, no shower, lightening, pouring rain and uphill uphill uphill climbs – these are just a few of the challenges they had to deal with.” There was even a day that the group could not bike into Des Moines, Iowa, since tornados and hail were in the area. In addition to the difficulties they faced, the girls also had some extremely satisfying moments. “On the flip side – there is the reward – visiting cancer patients, handing out scholarships to cancer patients, meeting many new people along the way, seeing the beautiful country and being part of a team,” Theresa adds. Cancer may live on, but these three Dukes proved that it doesn’t have to take over a person’s life. “I wanted to inspire and help those facing this lifelong journey with cancer as we embarked on ours,” Lizzy said. Rachel Petty (’17) is a junior Media Arts & Design major from Oakland, New Jersey. She is striving to become a journalist for either print or online media and is currently working as a Public Affairs Intern for JMU. In her free time, Rachel enjoys reading, writing, and traveling.